Grapefruit is not for everyone, sure. But, it really, really does it for me. This recipe started as me wanting to get more use out of grapefruit, a fruit which I adore. 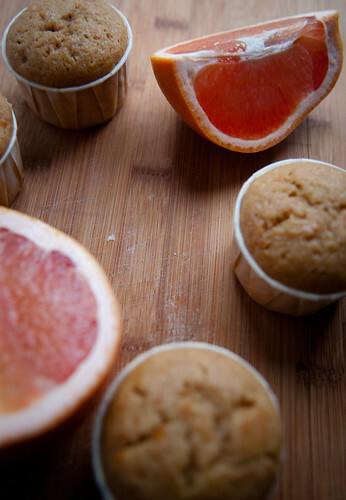 Since I am pretty much convinced that grapefruits can only be eaten in the morning (I don’t know why I think this), I thought, why not muffins? Muffins, too, make a delightful breakfast item. Coincidentally, I can only eat muffins in the morning as well. It was clearly meant to be. I was thinking of adding a nutmeg milk infusion when I happened to have an amazing drink of black iced tea infused with grapefruit. Suddenly, it was really, really important just then to add black tea to my working muffin recipe, because then it would be like all the best things of breakfast in one muffin. Woah.